As of Winter 2016, Woodstock Meats is now prominently featuring pasture-raised meats from the Hudson Valley. 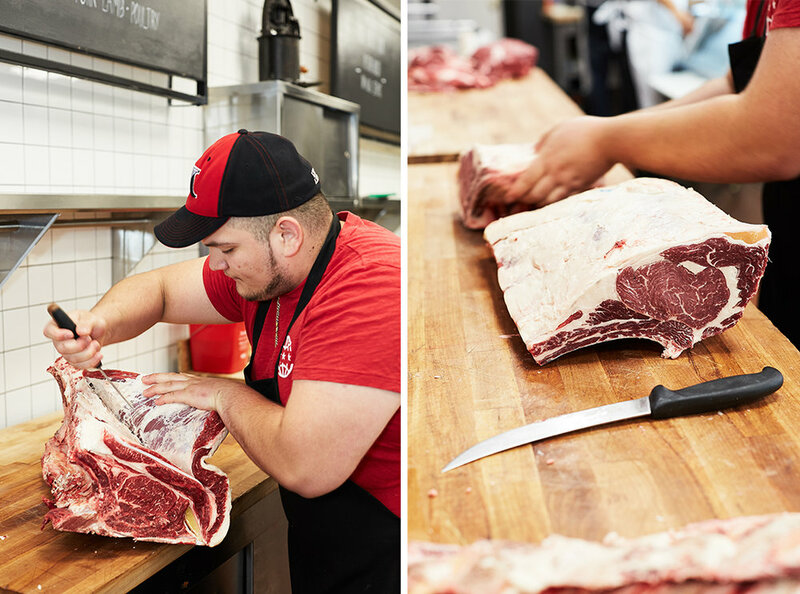 Alongside the all-natural, antibiotic-free classics that we have served for years, you will now find a selection of in-house, nose-to-tail butchered animals from our communities. Our local meats selection is perhaps most prominent with beef, pork, and lamb. We are working with local growers to bring you a mix of Hudson Valley pasture-raised animals that are either 100% grass fed or grass fed and grain finished. We believe that regional, pasture-raised meats are the most responsible and delicious choice that we can offer, and are therefore committed to increasing our local offerings in the time to come. We butcher our animals on Mondays and Thursdays, please stop in to speak with us and our butchers about what we have to offer.